With that, I want to simplify further and go beyond decluttering by taking the The 100 Thing Challenge written by Dave Bruno. Dave made his own rules and so did I. There is nothing magical about the number 100, but it�s a place to start.... Dave is the author of The 100 Thing Challenge, a book that documents his challenge to live with less than 100 personal items for a year. Dave challenges our conceptualization of The American Dream and asks us what is truly necessary to live a fulfilled and happy life. The 100 Thing Challenge: How I Got Rid Of Almost Everything, Remade My Life, And Regained My Soul (2010) About book: thought provoking... will prob read again in time... Doesn't even explain what the challenge is until the 5th chapter.... With that, I want to simplify further and go beyond decluttering by taking the The 100 Thing Challenge written by Dave Bruno. Dave made his own rules and so did I. There is nothing magical about the number 100, but it�s a place to start. �I�m a big fan of doing incremental steps toward a life of simplicity,� says Dave Bruno, the author of �The 100 Thing Challenge.� (Photo by Marcus Emerson) Note: This is an extended measurement and control basics 5th edition pdf An ordinary man's inspiring journey toward a simpler, more meaningful life. In 2008, average American family man Dave Bruno decided to unhook himself from the intravenous drip of consumerism that fueled his life by winnowing all his personal possessions down to just 100 things. Watch video�� This is "Dave Bruno Interview 100 Thing Challenge" by Man Vs Debt on Vimeo, the home for high quality videos and the people who love them. A while back, I published The 100 Thing Challenge (Harper, 2010), and I have spoken nationally and internationally about the importance of simplicity in our times. Time Magazine, Mother Jones Magazine, the London Times, the Guardian, and many other media have featured me. Though not proved, I believe I�m perhaps the only person to receive positive press from both BoingBoing and the 700 Club. 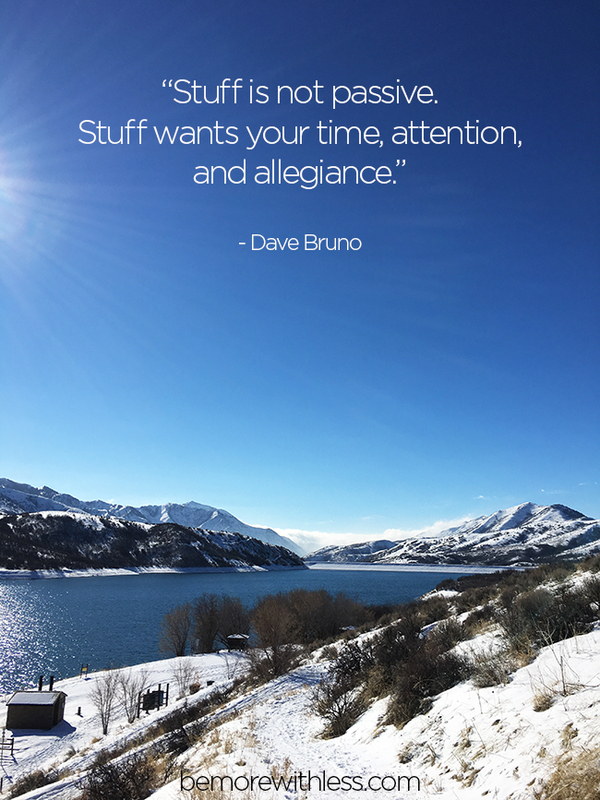 The 100 Thing Challenge: An Interview with Dave Bruno in People & Products , Sell Your 'Stuff' , Videos A year and a half ago, leading up to and continuing through our travels overseas, Courtney and I began publicly tracking every item we own .